A consortium fronted by ex-QPR chairman Gianni Paladini has made a formal offer for Birmingham City believed to be in the region of £30m, BBC WM reports. The group previously made an offer for Blues in September thought to be around £25m, which was rejected. 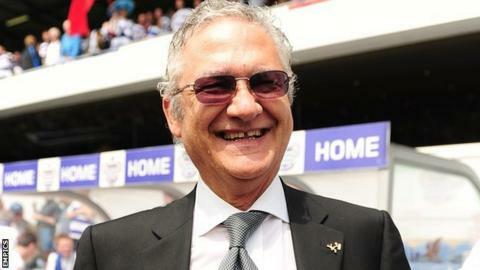 Solihull-based Paladini continued his interest in buying the club, and has lodged the increased offer with acting Blues chairman Peter Pannu. Any formal bid needs to be announced to the Hong Kong Stock Exchange. Last month Pannu, who took control of the Championship club when he was appointed chief executive of their holding company Birmingham International Holdings Ltd, revealed that he was in talks with two groups interested in buying the St Andrew's side. One of those groups was believed to be involving Paladini, who cut all ties with QPR by mutual consent in 2011 after eight years at Loftus Road, and Friday's news appears to confirm those reports. Despite not being officially for sale, the club find themselves the subject of interest while part-owner Carson Yeung awaits trial in Hong Kong for money laundering charges. However Pannu has admitted that the club are seeking new investment from external sources. Birmingham have failed to publish their figures for the past two years, coinciding with the allegations made against Yeung, who became the club's major shareholder in 2009. But regardless of the off-field problems, Paladini, who says he has lived in the Birmingham area since he was 22, has shown a willingness to become involved with the club. On the pitch, the Blues currently find themselves in 17th place in the Championship, having won only one of their last five games.